Treat yourself and your bridal party! 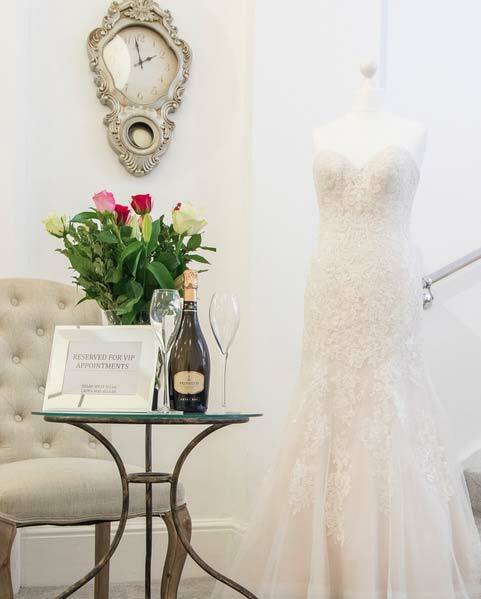 Exclusive use of our store for 1,5 hrs when you can enjoy trying on unlimited number of gowns while sipping champagne and eating tasty nibbles. Each Bride will also receive a goody bag. VIP appointments are available only upon prior booking and can be held outside our working hours week days or Sundays ( depends on availability). You will be asked for payment in advance. Please note our shop front is situated on High Street close to a junction with a Pudding Lane, right opposite a bus stop- You cannot miss us ! Please note that we do not carry out fittings (alterations) on Saturdays. We offer alterations on Tuesdays and Wednesdays. We are available for new appointments during normal opening hours. We are conveniently located in central Maidstone, few minutes away from Fremlin Walk car park, as well as other Maidstone local car parks. Main train station is only 5 minute walk away from our store.